Isn’t that a lovely thought? 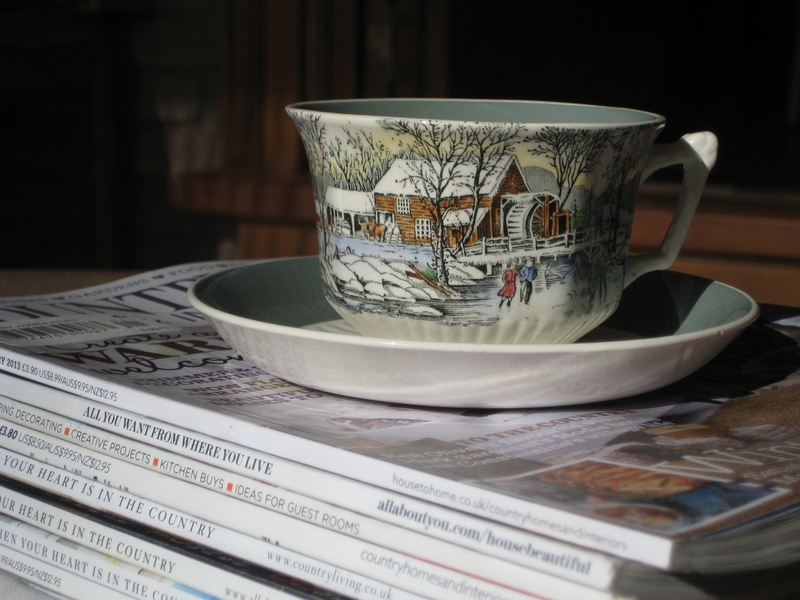 A cup of tea and a stack of magazines… what could better on a sunny Winter afternoon? This little beauty is a thrift shop find. Only cost me a couple of dollars. 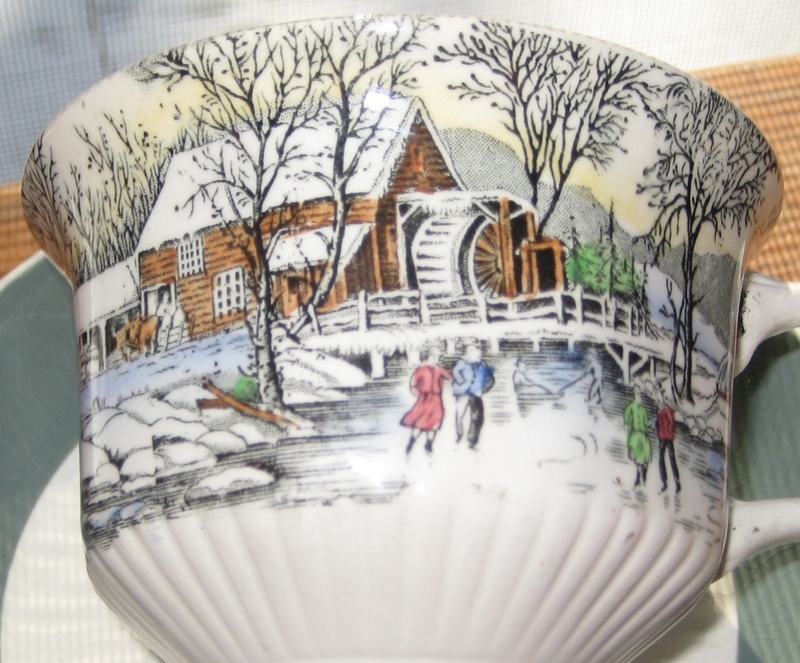 I was drawn to the sweet picture of people skating on the mill-pond. I don’t think it is particularly old. It may be a reproduction of a popular older pattern. 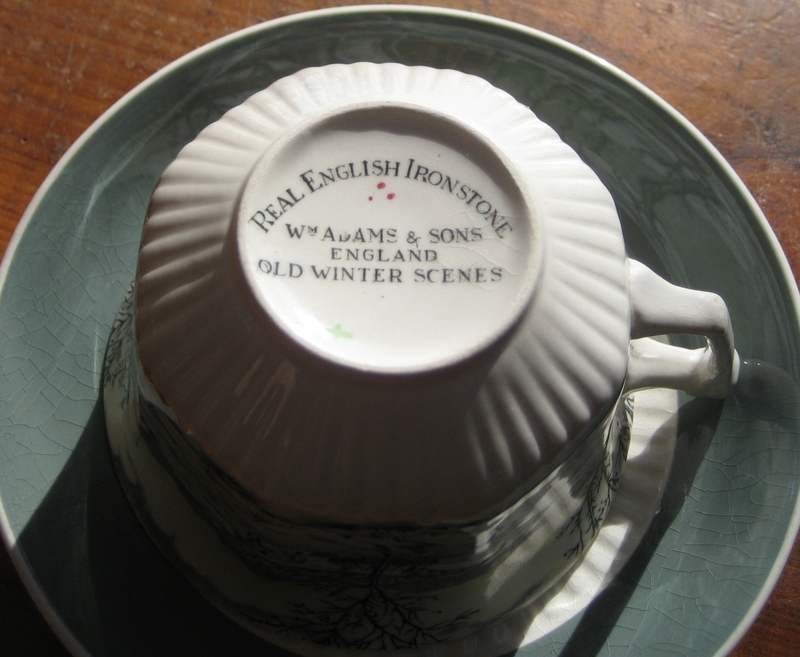 Wm Adams & Sons did a lot of transferware. 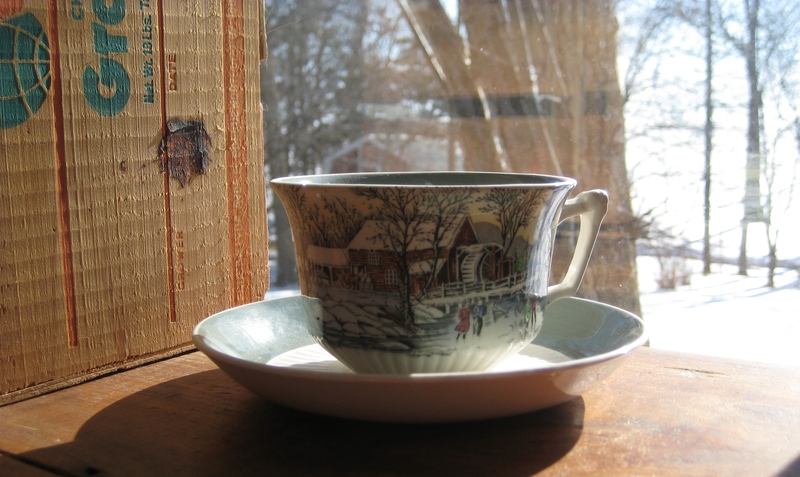 I am in love with transferware. Such a nice clean interior. The edge is a very odd green-grey. Not a colour you see a lot. Let’s look at the couple skating up close. I try to use my lovely things as much as possible. I would also love more hutch space! Nice to see you here knittingirl! How lovely to have such an important family heirloom! We have had frezing rain. I have so much to do in the gardens…can’t wait for spring! i LOVE this!. i collect a lot of different cups and plates and bowls. 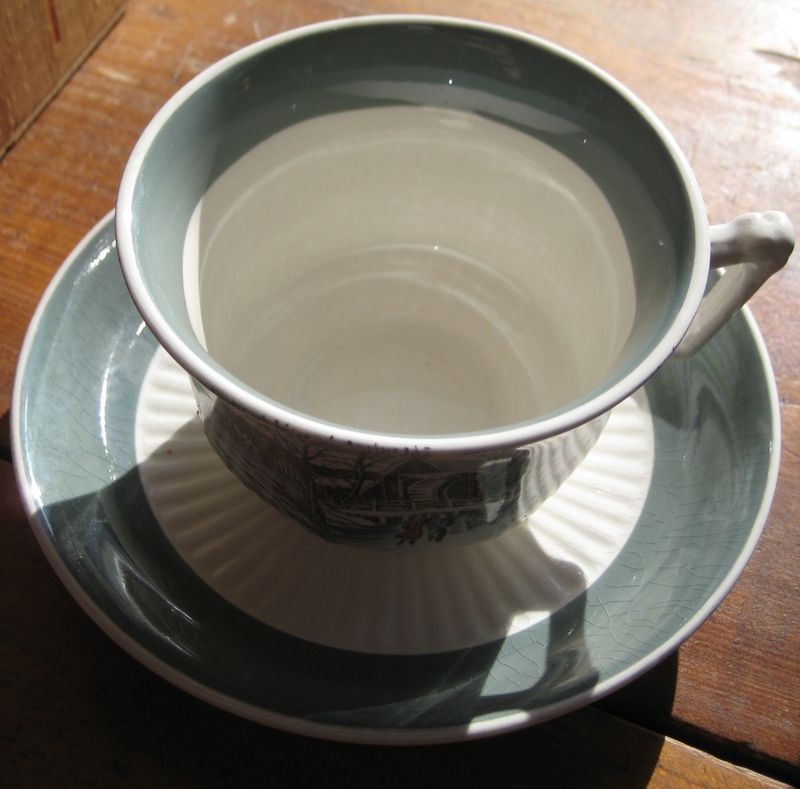 i really find it desirable to have an array of mismatching dinnerware and teacups. Always use the best china. It is good advice and we could all do it more often. I am also trying to wear my “best ” clothes more often. The shirt that people always compliment you on? Wear it at least once a week!